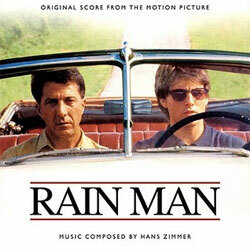 Rain Man movie is not about gambling itself; but it is famous also by its wonderful gambling scene where the main character Charlie (Tom Cruise) takes his brother Raymond (Dustin Hoffman) to Las Vegas casino in order to win a big sum of money using card counting technique. It must be said that Raymond is an autistic who lives in his own world and does not understand anything that happens around; but he calculates difficult mathematical problems with a high speed! Raymond remembers all cards dealt and left in a shoe, and he helps Charlie to win at blackjack. It is clear that a real card counting technique does not suppose the counting and remembering all cards from a shoe, but this Rain Man movie scene is really worth watching! Charlie Babbit (Tom Cruise) has never been serious enough for his father: according to the father's testament, the whole $3 million estate goes not to Charlie but another son Raymond (Dustin Hoffman) of whose existence Charlie did not know. He decides to change the situation and kidnaps Raymond from the Walbrook Institute. The problem is that Raymond is an autistic: he lives in his own world and does not understand what happens around him. Moreover, it appears to be that he is afraid of planes, so Charlie has to agree for a road trip which helps these two men to know and understand each other better. Charlie finds out that Raymond has a fantastic memory and ability to count big numbers in his head with a high speed and accuracy. He decides to use it as an opportunity to win big money at blackjack casino game. He sells his watch, buys nice suits for both of them and comes to a casino with Raymond. The very interesting moment of this scene is when Raymond takes Queen and then passes it to Charlie though it is prohibited to touch other cards and chips during the game. Anyway, two brothers are very lucky to beat that casino out of almost all its money; but nothing stays unnoticed: the casino security begins to suspect Raymond in cheating though can not find any evidences of this. This film had 13 other nominations and 19 more winnings, and it proved its uniqueness and perfection.